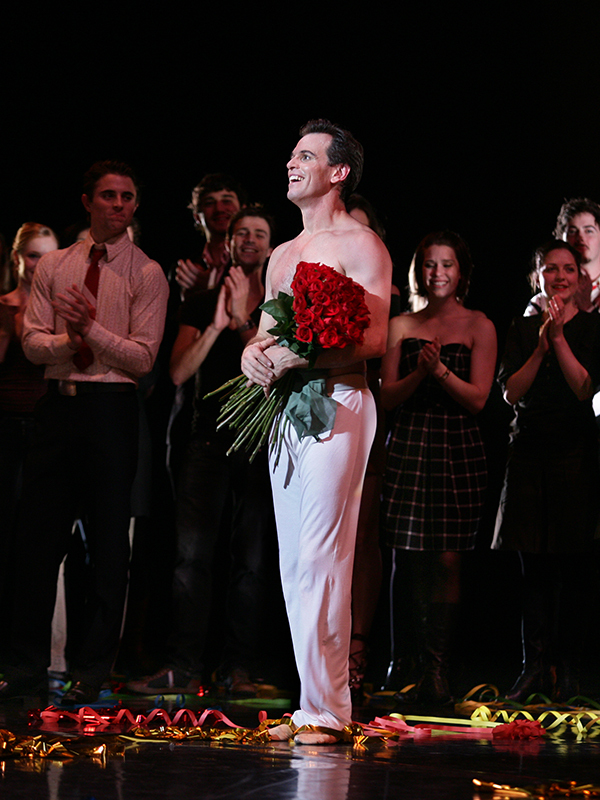 Described by choreographer Graeme Murphy as "the absolute grand gentleman of the art form", Steven Heathcote still holds the record as The Australian Ballet's longest-serving principal artist; he was up there in the highest rank for 20 years, before retiring amid a storm of streamers, confetti, flowers and cheers after a performance of Christopher Wheeldon's emotional After the Rain©. 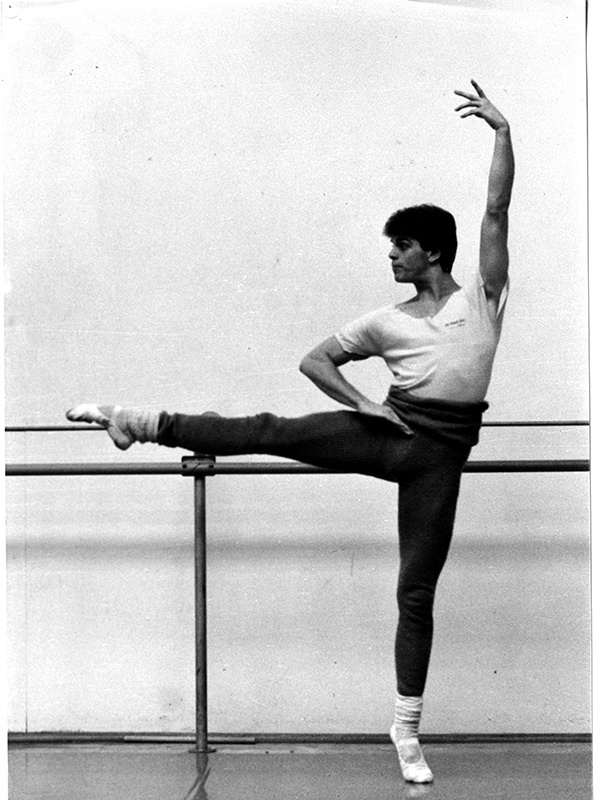 Like David McAllister, Heathcote was taken into the company while he was still at The Australian Ballet School, to dance in a production of Spartacus. Like McAllister, he never left. He was made a principal artist just four years later. 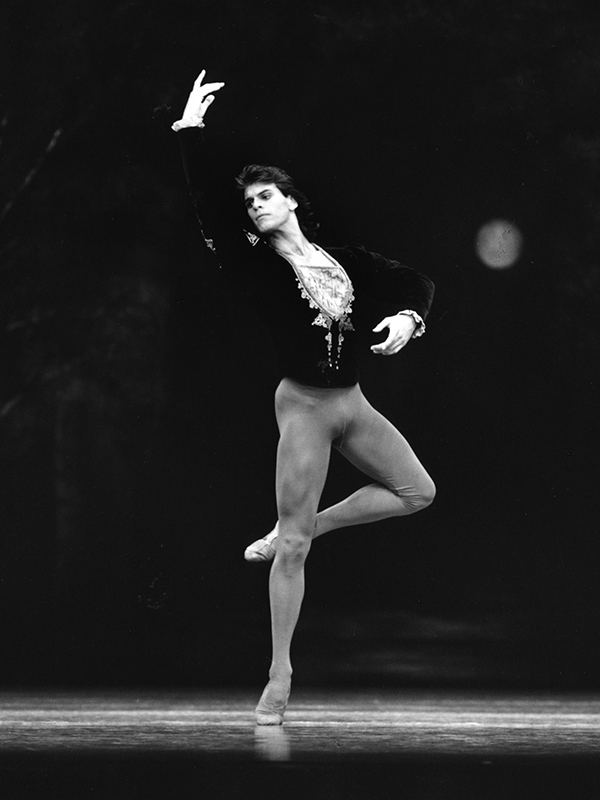 Tall and athletic, a natural prince, a mesmerising partner, he danced all the great classical roles and excelled in contemporary works; he appeared as a guest artist with companies including American Ballet Theatre and Mariinsky Ballet. In 2014, he rejoined The Australian Ballet as a ballet master, and now passes on his wealth of knowledge to today's stars. When I was nine, we were taken on a school excursion to see The Nutcracker. My brother was three years older than me, and he was bored out of his brain. I, on the other hand, was fixated by the stage, couldn’t believe what I was seeing. It was this combination of fantasy and storytelling and athletics and music – the perfect collision of all the things that I loved. I decided that I wanted to do it, not just watch it. It did its job! It wove its magic. That night I went home and asked Mum if I could do ballet. She gave me a cooling-off period – six months – and I was still bugging her, so she realised it wasn’t a flash-in-the-pan idea. She found the best teacher in Perth at the time: Madame Kira Bousloff, who danced with the Ballets Russes and studied with Bronislava Nijinska. As so many of the Ballets Russes dancers did, Kira came here on tour and ended up staying. She founded the West Australian Ballet, and after that started her own school – lucky for me! She had this big voice, with a thick Russian accent. Even at the age of 70-something, she could whack her leg up on the bar and put her head on her knee. She could do the splits! She had this impish energy. When I was learning male steps with her, she would say, “Do like husssarrrrrrr!” and she would show me pictures of the hussars with their horses and drums and big furry hats and swords. It was exciting. There was always a sense of her pride in her history, which was infectious. She loved her “babies”, as she called us. I started with her, then picked up lessons with Shelley Rae, who was in partnership with Kira. I kept chugging along, going to classes … I wasn’t very good, I have to tell you. No false modesty! There are people who are quite amazed that I made it as a professional. I didn’t have a lot of the physical attributes that are required of a dancer – like turn-out, good feet, all that stuff. I had to find a way to make my body do what was asked from it in classical ballet, and it was very hard. But in a funny way, I think it was the challenge that kept me there. By the time I got to third year of high school, I realised I was not going to have an academic career! I always gravitated towards music and art and drama. Maths was like purgatory to me. I told my parents I wanted to do full-time ballet. I was very lucky – I had the support of both parents, right from the start. Dad did thousands of kilometres in the car with me and my ballet mates. The Australian Ballet School came around on its audition circuit, and I decided to do an audition just for the experience. Dame Margaret Scott called us over afterwards – it was Paul Mercurio, myself, David McAllister and Darren Spowart – and told us we’d all been accepted on the spot. So in 1981 I got on the Indian Pacific with Paul Mercurio, and after three days on the train we got off in Melbourne and started at the Ballet School. I was 16. It was a bit daunting, but it was great, because all of a sudden you were in a room with a bunch of other guys who did what you did. It upped the competitiveness, you got access to more information. 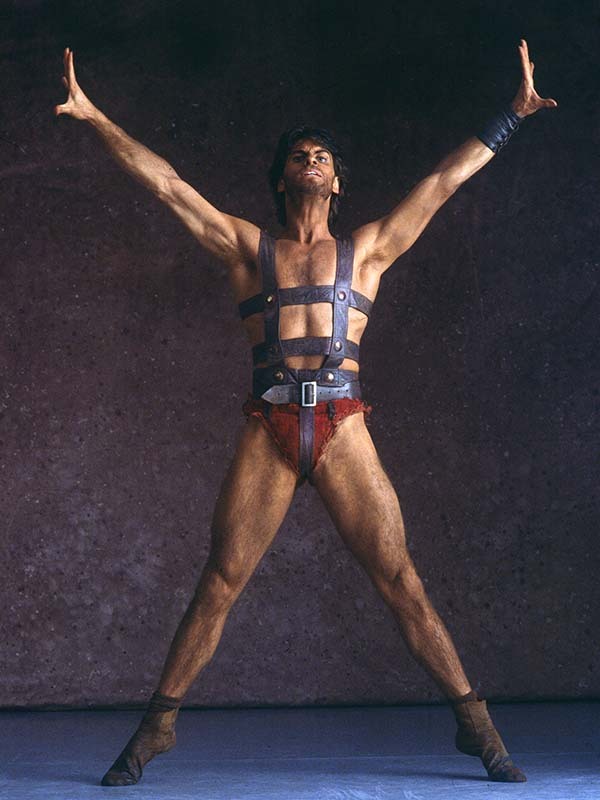 I remember seeing Ross Stretton dance and perform a menage around the stage, and I thought to myself, “If I ever learn to do that, that’s how I’m going to do it.” I remember watching Dale Baker in The Rite of Spring, and the sheer explosive energy was just mind-blowing. I was lucky enough to see Nureyev perform live in Perth. 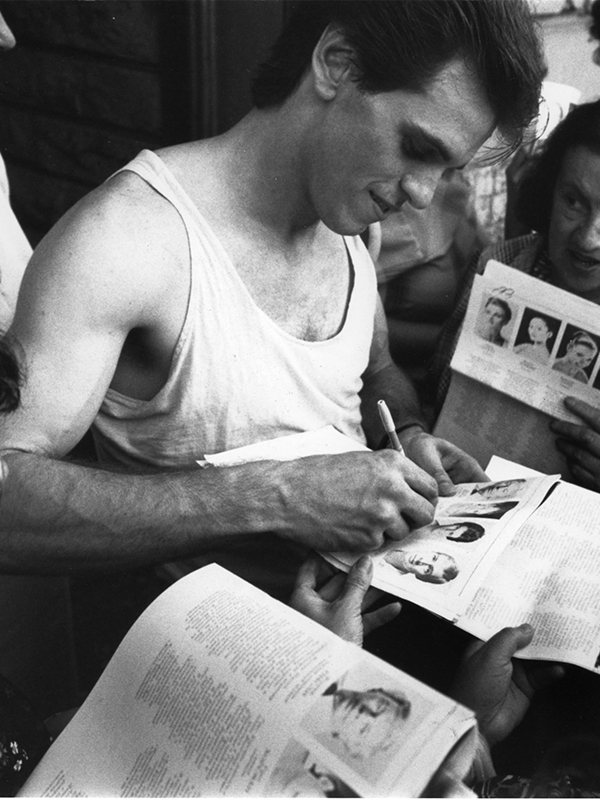 I saw Baryshnikov, on film. I used to smuggle Princess Tina ballet books out of my school library – under my jumper, so I wouldn’t be seen. I’d use tracing paper to trace the shapes of what the male dancers were doing. For instance, there’s this famous photo of Yuri Soloviev as the Bluebird, and he’s in this airborne shape with both legs out in front of him, a brisée step. There was some process in my brain that saw the outline of the shape, and that’s what I traced. I think it was some kind of unconscious method of absorbing information about the shapes I wanted to create. It was the same when Kira would show me old pictures of the Russian dancers doing Les Sylphides – my brain remembered the shapes. When I was young, I was in the Dance Theatre of Western Australia – an amateur group that danced in regional areas, performing in school halls and tin sheds to anyone who would come. We’d do exerpts from classical ballets like Les Sylphides and Graduation Ball. We were so lucky to have the connection with Kira, because those ballets were part of her history. So I was partnering by the age of 13. I remember Shelley, my teacher, running at me from the opposite side of the room and launching herself at me, and calling out, “Catch!” So, you catch! I learnt early on that you had a responsibility to your partner, that you had to be ready for things. As a result, partnering was one of the things I enjoyed the most about my career. It’s fun! The key to good partnering is communication – it’s a bit like a mini-marriage. You’ve got to be really open with each other – diplomatic, but clear. Eye contact is hugely important – in rehearsal as well as on stage. You need to get to an understanding of the music together, so that you’re both using the same dynamics – otherwise things can be mistimed. They lynchpin of any relationship is trust. I mean, if I was a girl being lifted above a guy’s head, I’d want to have full trust in him. It’s fun creating characters together. That’s the joy of make-believe. You can create a relationship or situation that’s so real when you’re out there, and then the curtain comes down and it’s back to life. It’s very hard to pin it down to one or two roles. One of the things I always loved was that pursuit of athleticism, pushing hard physically. I really enjoyed the role of Romeo, because it’s highly physical – the partnering, but also the sword-fighting and all that boy stuff, I used to love that. The Taming of the Shrew is also a very physical role. There’s a solo where I used to try and up my elevation every night, get a little bit higher every time I danced it. I used to love doing Kylián’s works – just about any dancer will tell you that. There’s something about the organic nature of the movement that just feels right on your body, I think because of his incredible musicality. As someone who always felt a deep connection to music, doing his works were like a gift. The technical benchmark is always getting raised and raised. Once upon a time, it wasn’t necessarily the case that men were renowned for their astonishing technique – for their banana-shaped feet, their hyper-extension. But some of the same qualities that the dancers of yesteryear had are still sought after. That slightly raw, animal energy of a Nureyev or a Baryshnikov is still prized – you only have to look at Ivan Vasiliev. As a ballet master, I hope I’m giving [the dancers] more awareness of what their own body is doing, from a technical standpoint; in rehearsals, especially for narrative works, the focus is on the clarity of communication. You aim to produce the best, cleanest, most economical, powerful technique that you can, coupled with theatrical authenticity. Each artist is different – it’s our job as ballet staff to tune in to that, and to help them achieve their best performances.